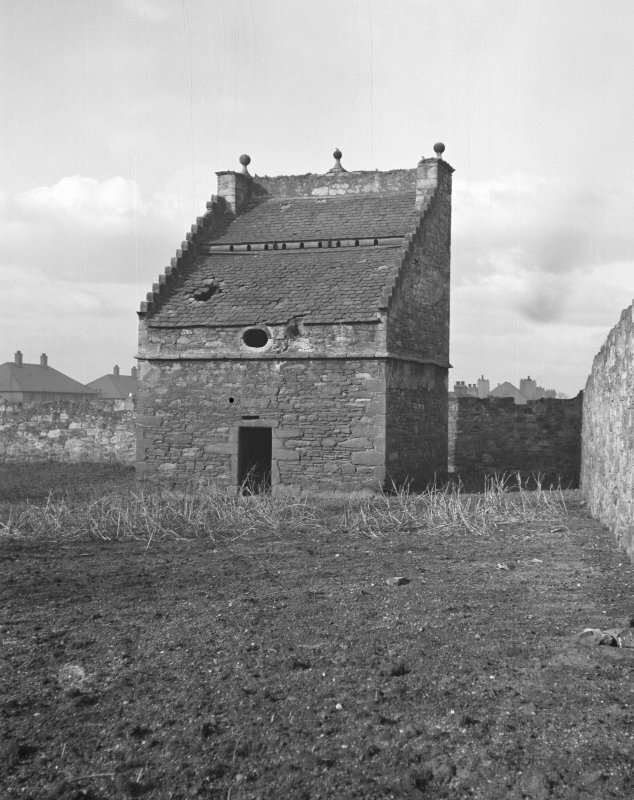 Preston Tower and dovecot. General view. 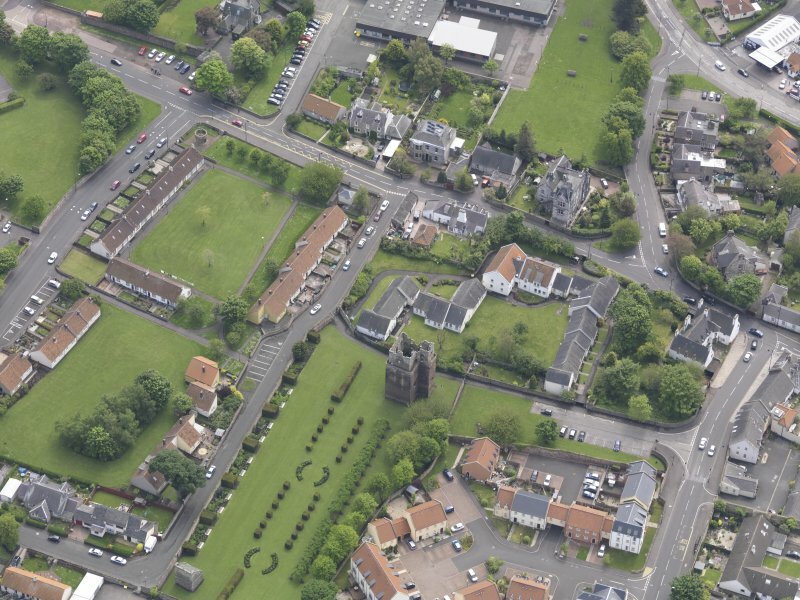 View of dovecot at Preston Tower from S.
Oblique aerial view of Preston Tower, taken from the NE. 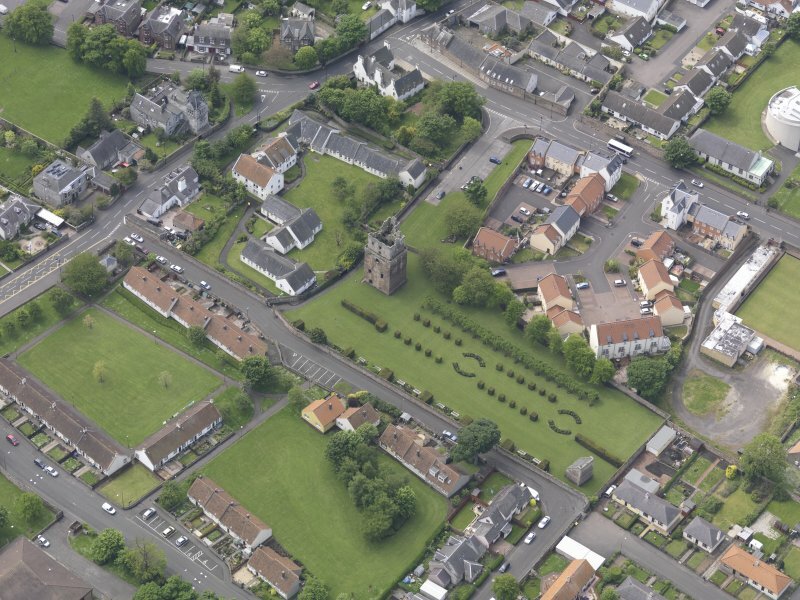 Oblique aerial view of the Preston Tower centred on the tower-house with a dovecot adjacent, taken from the SE. 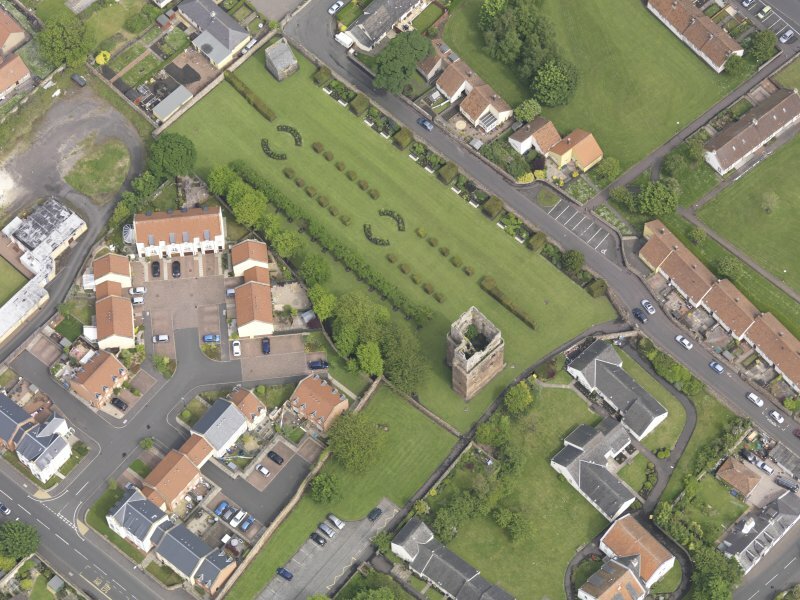 Oblique aerial view of Preston Tower, taken from the E.
Oblique aerial view of Preston Tower, taken from the NNE. 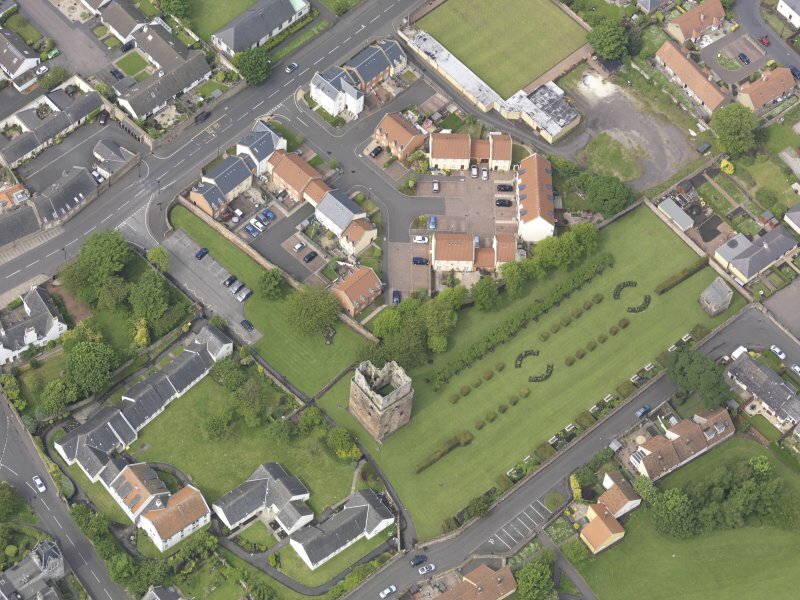 Oblique aerial view of Preston Tower, taken from the NW. 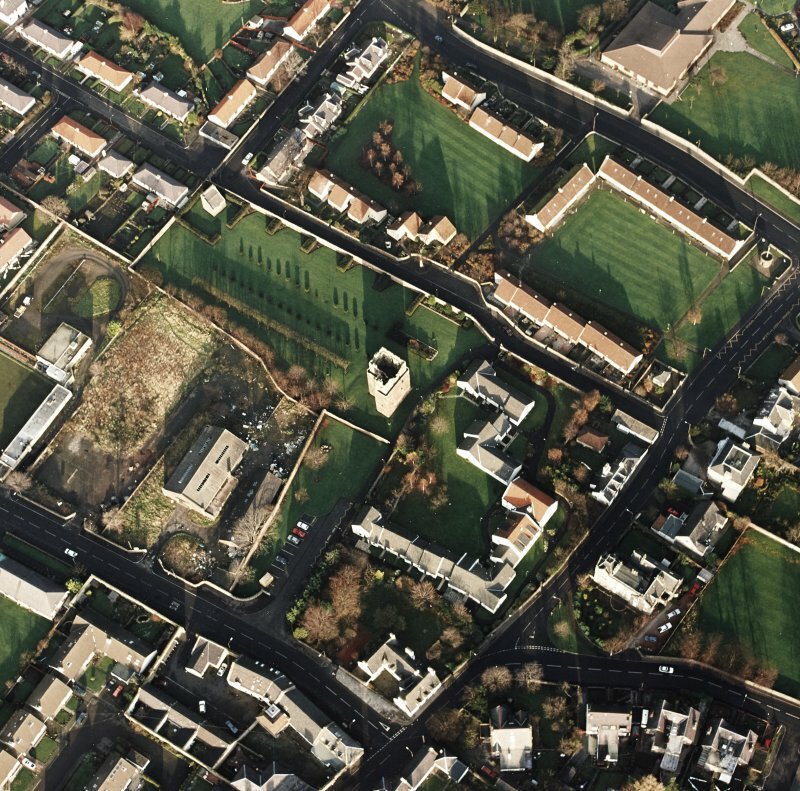 Oblique aerial view of Preston Tower, taken from the ENE. 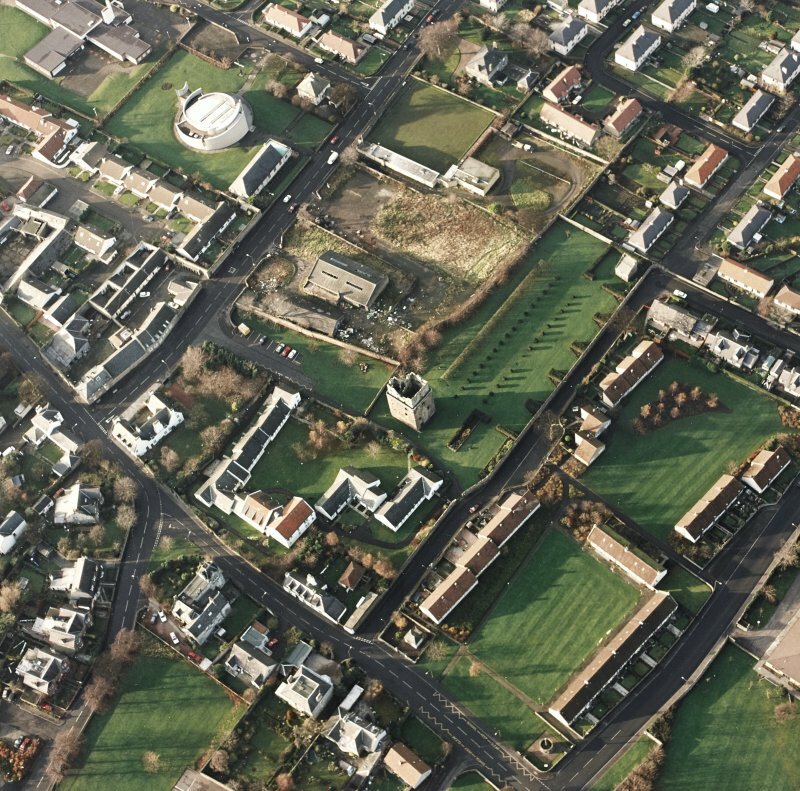 Oblique aerial view of Preston Tower, taken from the ESE. 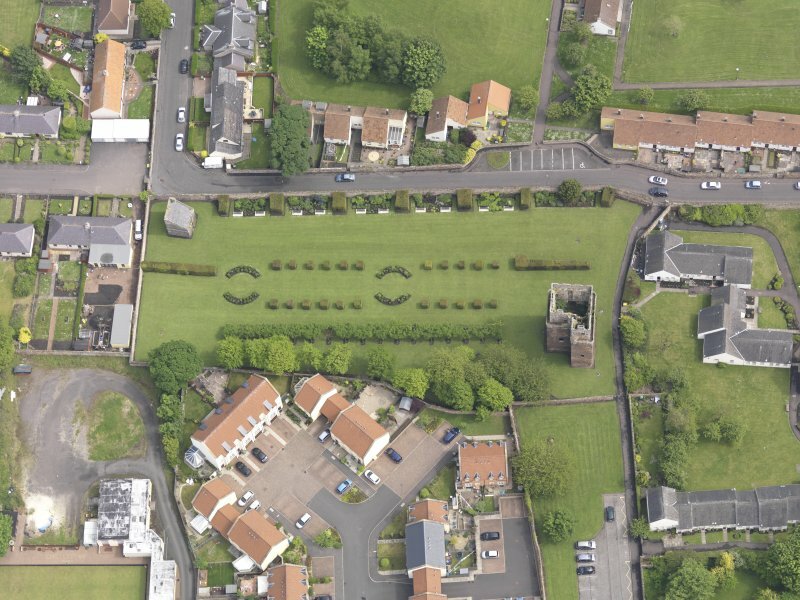 Oblique aerial view of the Preston Tower centred on the tower-house with a dovecot adjacent, taken from the S.
Oblique aerial view of the Preston Tower centred on the tower-house with a dovecot adjacent, taken from the SW.
(NT 3900 7415) A single-chambered lectern type dovecot stands c. 100 yds N of Preston Tower. 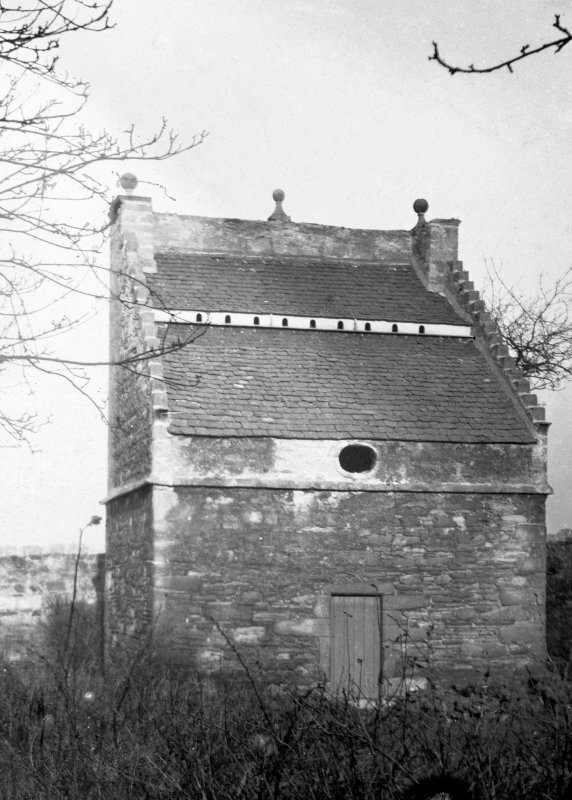 It measures 19' 4" by 17' 3" with a one-way slate roof and crowstepped gables. 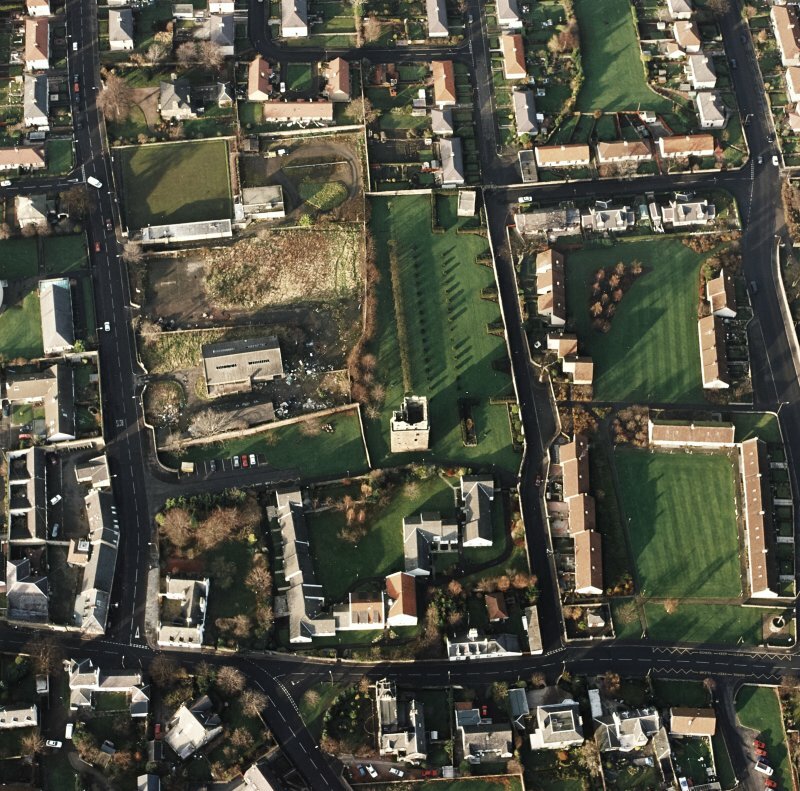 In a fair state of repair, it contains 985 nests. As described. 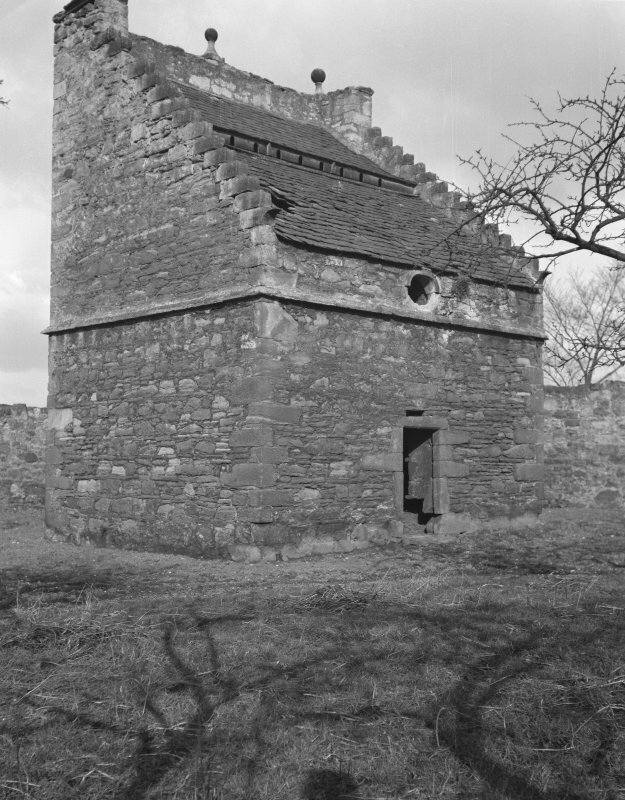 Typical 17/18th century dovecot. 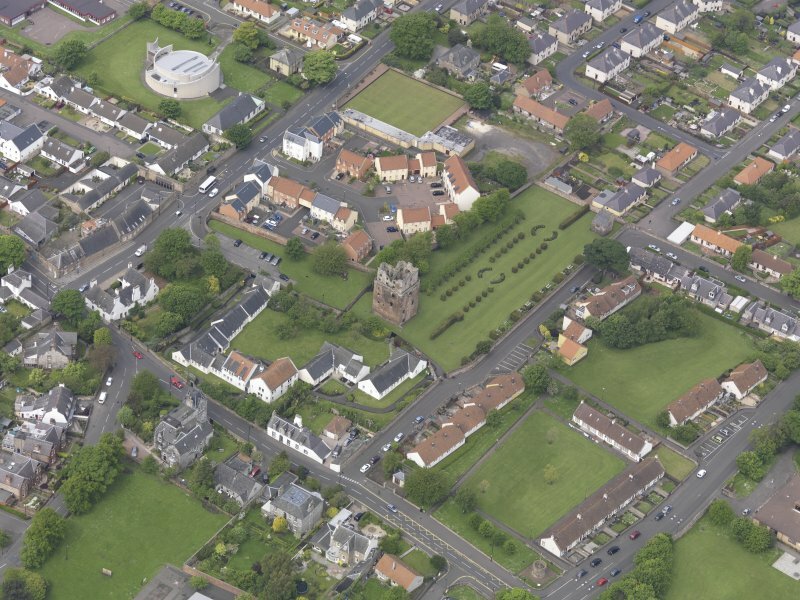 Scheduled with NT37SE 3 as Preston Tower and Dovecot. 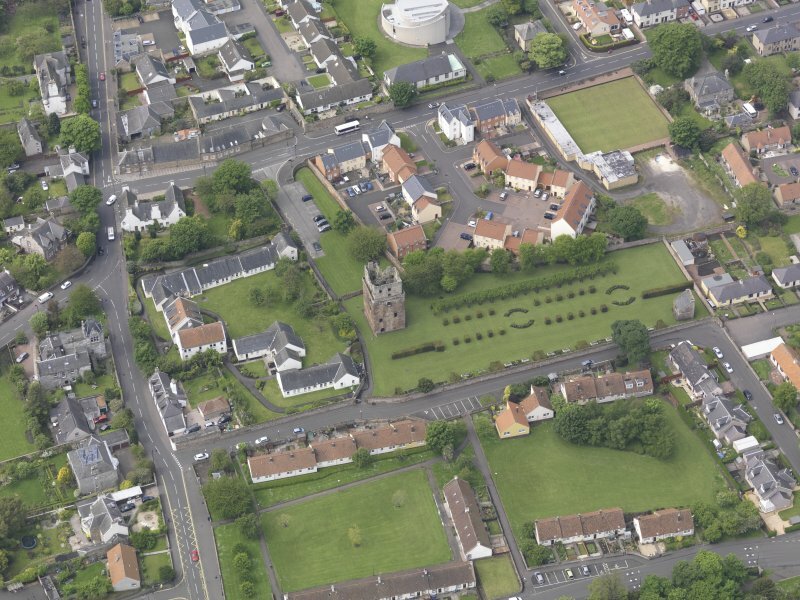 Information from Historic Scotland, scheduling document dated 13 December 2000.